On a very hot Sunday I travelled to London to visit the Institute of Imagination‘s ‘Imagination Lab’. The Institute emerged as an idea in 2011, and was up and running in 2013, aiming to “help understand the power of imagination and realise its potential”. 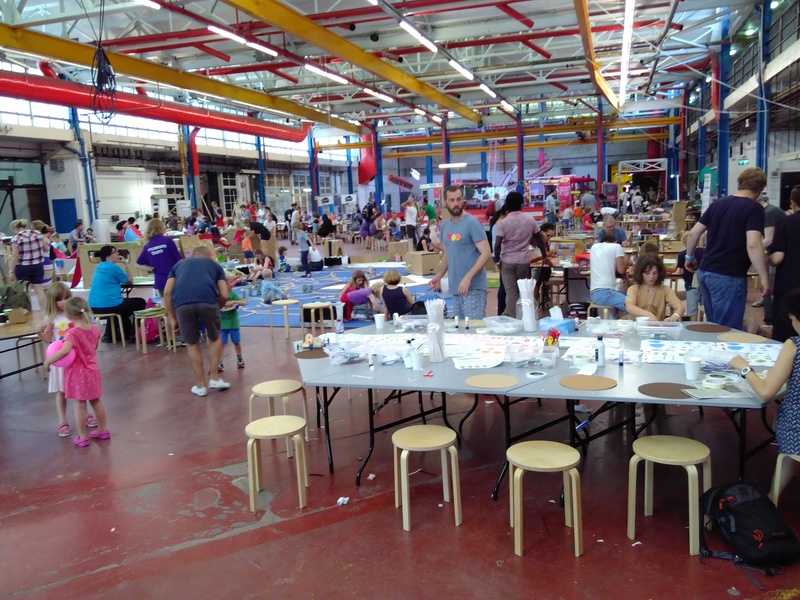 They run different events, but their biggest are their ‘Lab Live’ events, which run every 6 weeks, and this one was called ‘Lab Live: Metropolis‘, an interactive, family event. This event was designed for children aged 3 – 12 and their parents and carers to create, play and tinker with different materials, shapes, sounds and functions. It aimed to bring cities to life through a host of interactive activities that enable children to explore their imaginations. There were loads of great activities to enable open-ended play: kids could go where they like, do what they like. It was a lively, buzzing, attention-filled, delightful space. Find out more about the Institute’s work here.